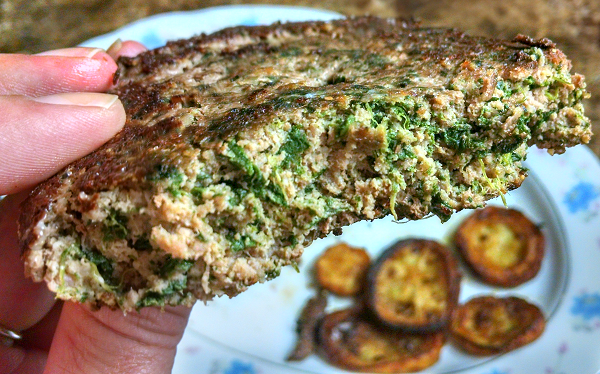 I’ve mentioned before how much I like to play hide the spinach, and this recipe is another great example! 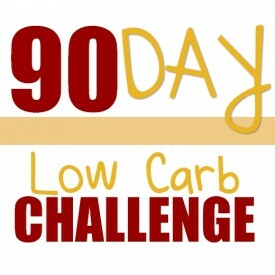 This is a super simple low carb meal you can whip up quickly, and feel good about eating. 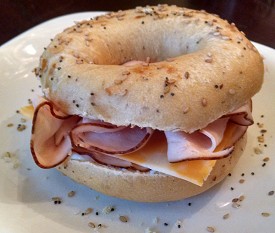 Not only is it healthy, it’s also delicious! Spinach ranks as one of the world’s healthiest vegetables. It’s also a great low carb source for both magnesium and potassium. Spinach is well known for its nutritional qualities and has always been regarded as a plant with remarkable abilities to restore energy, increase vitality and improve the quality of the blood. There are sound reasons why spinach would produce such results, primarily the fact that it is rich in iron. Iron plays a central role in the function of red blood cells which help in transporting oxygen around the body, in energy production and DNA synthesis. I also use frozen vegetables often, for two reasons: 1) I like vegetables year-round, even when they’re not in season, and 2) I can cook the amount I need, when I want it. I find I have less waste that way, which results in grocery savings. Again, that’s just my preference. 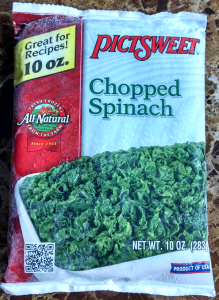 For this recipe I used Pictsweet Frozen Chopped Spinach. I like this product because the ONLY ingredient is… Spinach. 🙂 It’s also a small flat package, which stows away nicely in my freezer – and also stacks well when I stock up on it. Prepare spinach first. Drain liquid. 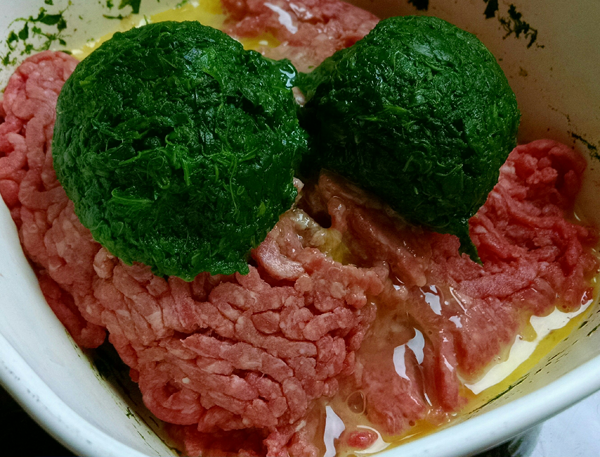 Mix spinach, ground chuck, egg & salt – blend well. Patty into 3 large burgers & season to taste. Cover. Cook on medium. Drain liquid & brown on both sides. Prepare the spinach first. I followed the directions for the Pictsweet Frozen Chopped Spinach: run under warm water for one minute, then microwave for 7 minutes. I stirred it to make sure it was evenly cooked, and drained off the liquid. Note: I used a 1/3 measuring cup, packed the spinach tight and drained off the liquid. Given it’s “packed” it may be more than a 1/3 cup “serving”, but just barely – because I still came out with 3 full 1/3 cups (the package says there are 3 1/2 servings). Draining the liquid off the spinach + the egg makes the hamburger meat a good consistency that won’t fall apart on you in the skillet. Mix it all together with your hands like you would a meatloaf. 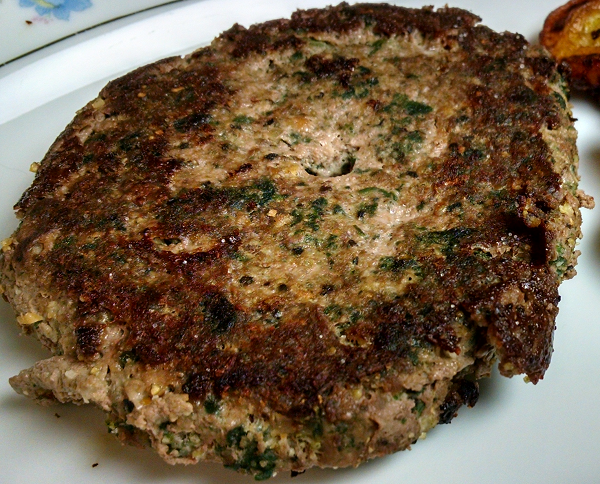 Mix the spinach and egg into the meat evenly. 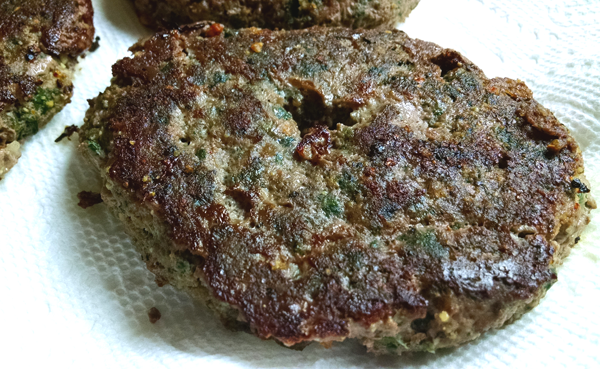 While your hands are still “icky”, go ahead and patty out your hamburger steaks and put them into a non-stick skillet. 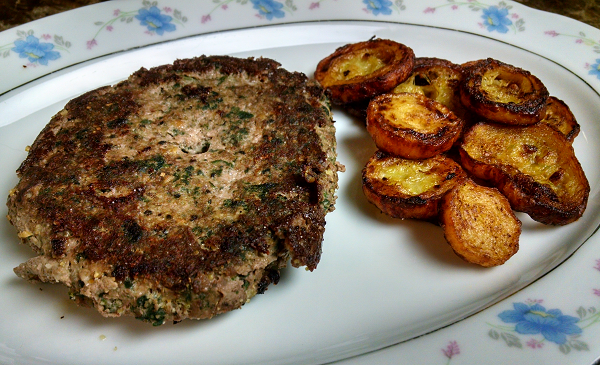 I made 3 large hamburger steaks, but you could easily make four out of this recipe. I mentioned adding salt to the mixture before cooking. Once they were pattied and in the skillet, I sprinkled them with: Mrs. Dash, Garlic Salt and regular salt. I cooked mine on medium heat, and started by covering the skillet so they would cook through. I took the cover off, drained off all the liquid (spinach puts out a lot of liquid! ), flipped them and browned them nicely on both sides. Once done, I laid them each on a plate covered with a paper towel to let them drain. While they were cooking, I salted & seared sliced yellow squash in olive oil. 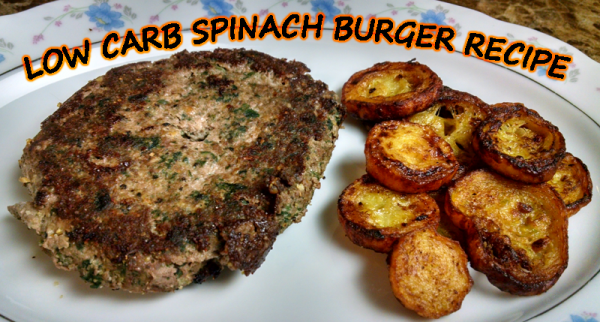 They had a very nice texture, great flavor, and the spinach isn’t at all overpowering. You’ll hardly realize you’re eating spinach! Lynn, this looks wonderful, can’t wait to try it. I made these burgers tonight. Came out pretty good. Next time I think I will try adding either onion flakes or real onions to the mixture. The trick with hole in the middle of patty works too. Thanks for the recipe. I didn’t add the recipe to the public database. You just have to add your ingredients into a recipe there, based on every ingredient you use and the serving size you eat. I cant find a way to print this? The burgers look amazing. I eat bundless burgers regularly. 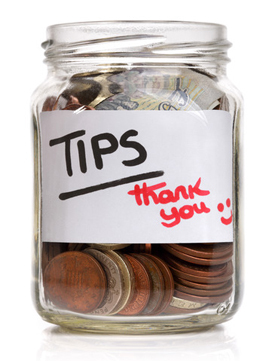 I usually mix mine with 2 T of mayo, 1/4 C of almond meal and 1/2 tsp of salt to 1 lb of ground beef or turkey. Keeps all the juices in since mayo doesn’t melt when heated. 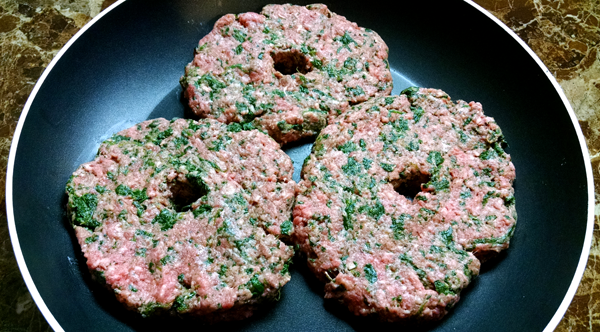 One question, are you sure you are to make an actual hole in the center of the patty or just a thump print? I just made these but I had leftover creamed spinach that I used instead and they came out delicious! !